Batman: Return of the Caped Crusaders DVD and Blu-ray release date was set for November 1, 2016 and available on Digital HD from Amazon Video and iTunes on October 11, 2016. 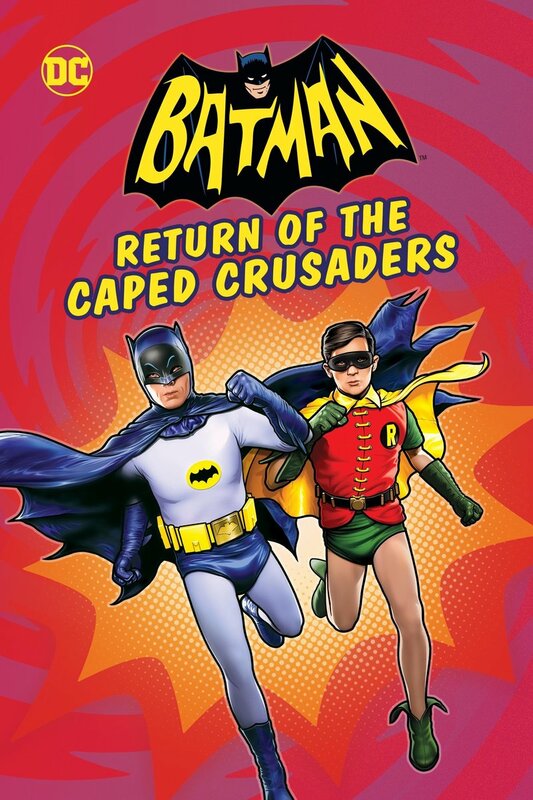 To celebrate the 50th anniversary of the 60's tv show, Batman and Robin are back in a new animated adventure, all in the style of the original camp classic. The peace of Gotham City is shattered when the city's greatest villains, Catwoman, Riddler, Penguin, and the Joker, all team up to unleash their most nefarious plot yet. To battle them, the caped crusader and his ward will have to Biff! and Pow! their way through the city and even into outer space. Featuring the voice work of the original Batman, Robin, and Catwoman from television, it's every fan's dream.